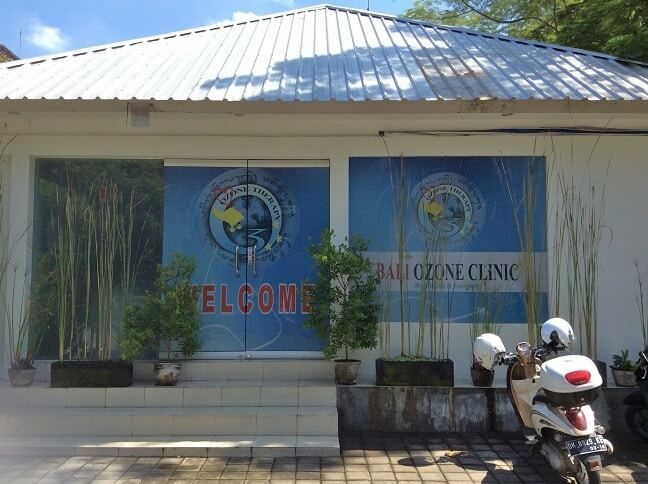 If ordinary balinese massage is not enough to rejuvenate you, then Bali Ozone Therapy is the place to go. Dr.Chandra Irawan, an Indonesian medical doctor has taken charge of the most popular anti-aging therapy clinic in Bali and gone independent after starting out as Bali branch for Jakarta based Dr.Welly Sondakh. Dr.Welly was the first to introduce EBOO ozone therapy in Indonesia and has got his additional training for ozone therapy in Germany by Dr. Gert Wasser and in Russia by Professor Oleg Maslennikov. 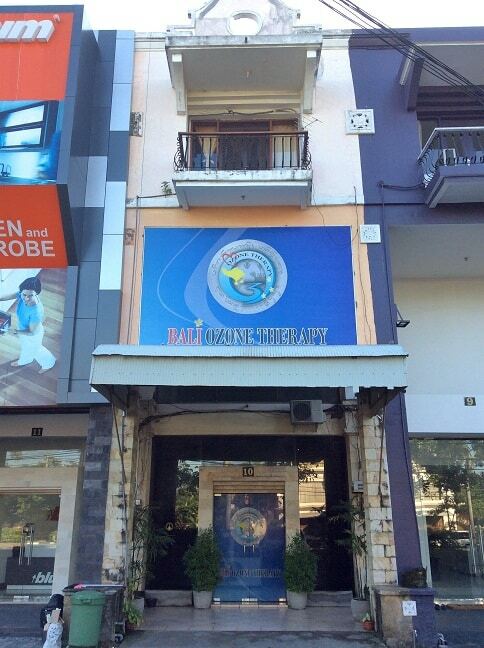 He still has his headquarter in Jakarta, but the Bali departments in Kuta and Ubud, which are more pleasant for expats and travellers to go through long term therapies are now under Dr.Chandra and are called Bali Ozone Therapy. However, the clinic still operates in the same premises since I last time visited them at JL. Sunset Road, No. 89 . It’s a short and convenient taxi ride from the main traveller hubs of Kuta and Legian. I did not see the Ubud branch, but I got some pictures from Dr.Chandra. As Dr. Welly himself is working in Jakarta I did not meet with him, but over the years Dr.Chandra has become an expert in his own right and he is receiving consultation from Professor Oleg Maslennikov too. Here you can find Dr.Chandra’s interview on Bali Advertiser. 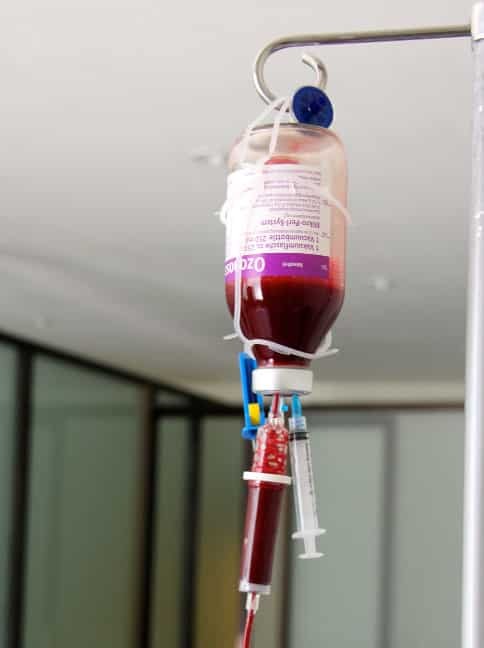 In addition to ozone treatments that include EBOO/RHP, Major Autohemotherapy, Rectal insufflation, Facial ozone therapy, Ozonated drinking water, Ozonated olive oil, Vaginal ozone therapy and Ear insufflation, they offer high dose IV vitamin C/B and Glutathione drips. But unfortunately not EDTA chelation. EBOO session always includes B12-vitamin shot if patient wants it. That is a list of treatments that places like Thermes Marins Spa, that was voted as the best spa in the world by Conde Nast Traveler readers won’t offer! The EBOO procedure is more exciting than the other traditional methods. 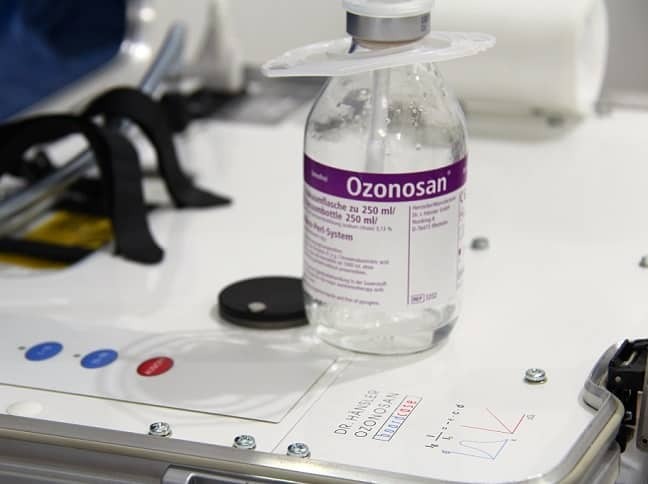 It is claimed to be the most efficient way to utilize ozone in medical treatments. The most inconvenient part of it are the huge cannulas that you need to take into your arms. It may hurt a bit, but once they are inserted time starts to fly and one nurse is present all the time supervising over the whole procedure that takes one hour. 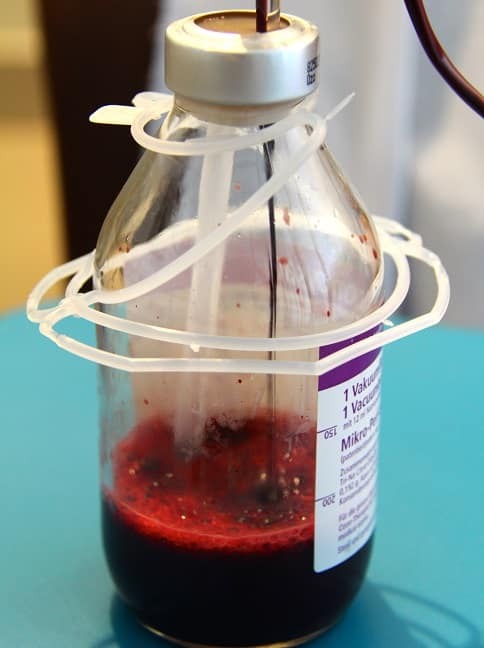 Some say there are drawbacks and risks too, such as the generous usage of heparin and exposure to possible toxins released from the dialysis filter that is used and modified for this particular method. But if we look at the testimonials and results achieved over the years by multiple patients, the benefits overrun the cons for most people. It is more favorable than direct ozone IV injections that are not so much used anymore in consequence to few amateurish mistakes over the last decades that have caused loss of life. 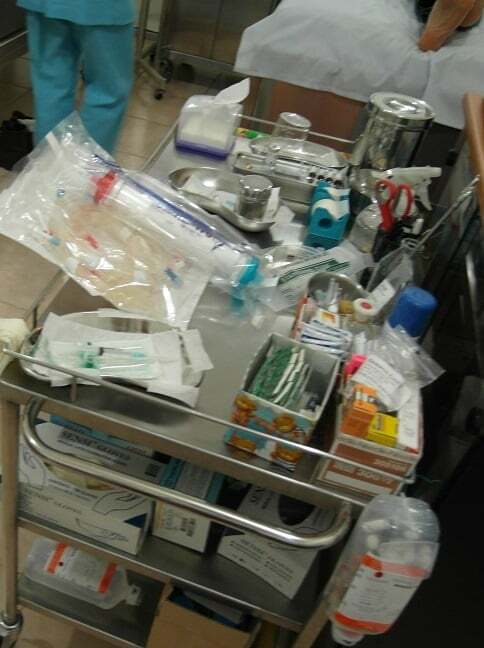 In direct injections syringe pump is recommended to avoid the formation of pulmonary embolism that might be lethal. However, some doctors like Dr.Howard Robins have developed safe methods for applying DIV’s for patients. And in Germany plenty of doctors use similar method called Oxyvenierung where pure oxygen is injected directly to vein without any adverse effects or risks. I don’t know if there are any clinics in Asia offering that. And as a general warning that I should add to every review; It is recommended to remove any amalgam fillings before doing IV chelation therapies, especially glutathione drips. In worst case scenario IV glutathione may just cause redistribution of mercury. Here and here is some critical evaluation of potential risks involved in this type of anti-aging therapy. Personally I think that the warnings about IV chelation, at least of EDTA, are exaggerated and in my experience limited to those with very high amounts of mercury toxicity due to amalgam fillings. I have never had amalgams or any fillings whatsoever and experienced tremendous positive effects from combined IV EDTA / oral DMSA chelation protocol. That blogger behind those postings, Paola, is very knowledgeable otherwise and I can recommend to take notice of her experiences and advices too in many instances. She shares the kind of analytical, critical and scientific based approach that is important when evaluating the effects and practices of controversial anti-aging therapy modalities, which I also try to pursue. Overall effect is summary of all those, plus variation depending on patients personal factors. For me the speed my blood was going through the machine was 50 ml per minute. You can see the number in front of the machine while it’s running. Or actually you can not literally see it if you are attached to the machine, but you can ask anyone to take picture or ask what the display shows. 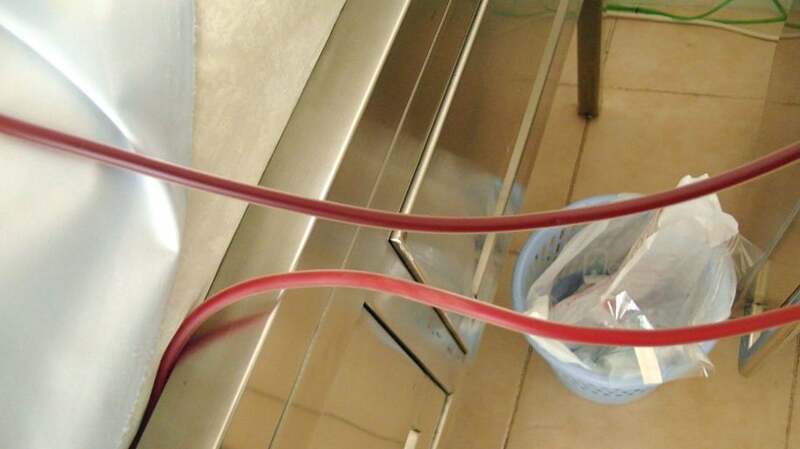 And as they fix the time to one hour, “only” three liters of blood went through(50X60=3000=3L). According to Ed McCabe, as he writes in his “Flood your body with oxygen” book, the maximum time person has been attached to the machine in test circumstances is eight hours without any complications and some doctor made bedridden AIDS patient to walk back home after few hours of being attached to EBOO machine. There is one article from Dr. Viebahn about autohemotherapy that said using high concentration of ozone with smaller amount of blood might not be so efficient than using lower concentration with more blood being treated in order to deliver the maximum amount of ozone person can handle at one time. So the same might be true in EBOO as well–> using high concentration of ozone with shorter time and smaller amount of blood might not be so efficient than using lower concentration with longer time and more blood being treated. But I suspect the first option is preferred in most places because of practical and business reasons. In order to keep the time and procedure more easily manageable. This analogy is just my own and it might be wrong. As an anecdote what comes to the positive “side effects” of EBOO, I noticed my tolerance for alcohol was reduced significantly. Although it’s good to avoid alcoholic drinks altogether during serious anti-aging therapy protocol, I made a mistake and went to the nightlife of Kuta soon one day after my first session and I was almost scared how even small sip of an ordinary small shot went up into my head. So it means something surely had happened in terms of boosting metabolism and cell breathing and improving other cellular functions and oxygen delivery within body. In total I took two sessions and the effect lasted for many weeks, even two months or so if I can remember right. If you have more time and are fine with autohemo and saline only, in Goa, India there is good and affordable holistic doctor at Healthy Healing Goa. I was there too as I wrote earlier. In chronic conditions the holistic approach is very important including dietary and supplements consultation. 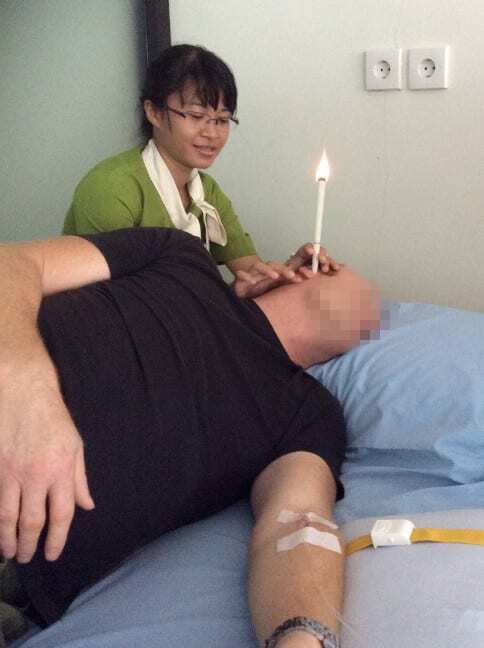 I used Q10 50 mg, C-vitamin 1000mg, some fish oil caps, Alpha Lipoic acid 300mg and E-vitamin along with my intense therapies and at the end of the first two months started to take multiminerals/vitamins and continued some months after coming back home. Dr.Chandra may consult you on those as well, but he is not so much specialized in dietary supplements or functional diets. 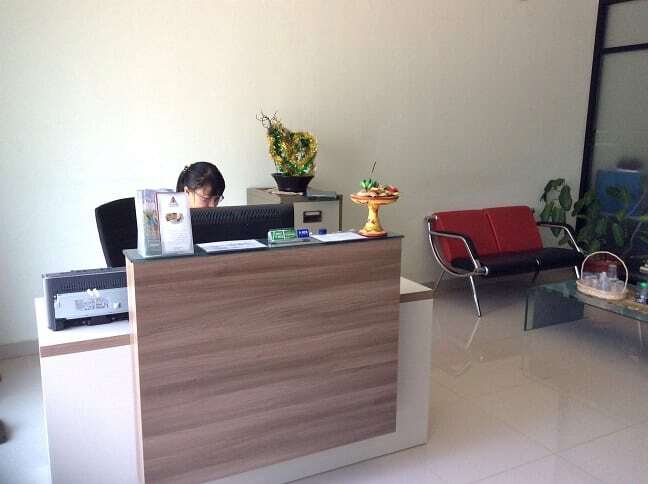 Their prices at Bali Ozone Clinic for EBOO is 2000 000 IDR per one hour session (about 152USD/136Euros/106GBP/ at the moment). Autohemotherapy 775 IDR (~65USD/58 Euros/45GBP) and Glutathione IV 850 IDR. Now since 2014 they have had department in Ubud too where Dr.Chandra goes to give treatments couple of times a week. I would recommend staying in Ubud as it is much nicer environment to stay longer with plenty of activities. So don’t be discouraged if you are tired of balinese massage and trying to figure out what is the best spa in Bali, which is the first thing in mind for many who look for a place to relax and rejuvenate in Bali, there are more powerful solutions available! Book your flights to Bali here. Disclosure: There are affiliate links in this article. Please note that when you click links and purchase items, in most (not all) cases I will receive a referral commission for maintaining this website. Disclaimer: Some images and permission to use them on my site were given to me by Dr.Irawan.